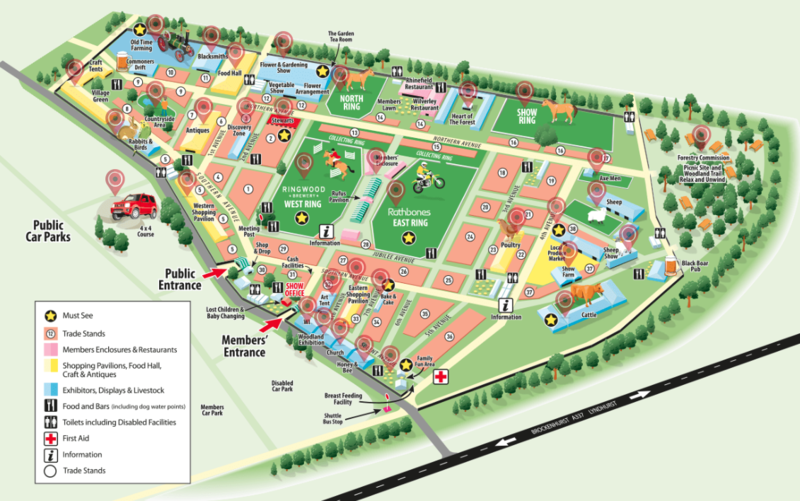 The ‘Heart of the Forest’ area of the New Forest Show is a great place to learn about the New Forest. I recently attended the three-day New Forest & Hampshire County Show, where I spent a lot of time catching up with old friends and making new contacts. The organisers make every effort to maintain the show’s founding ethos, which was established after WW1, to support farming interests and encourage agricultural improvements by increasing the awareness and understanding of agriculture, breeding stock, forestry, equestrianism and horticulture to the widest possible audience. This emphasis has helped to maintain a large event that nevertheless retains a countryside focus and village atmosphere. I prefer to get to the show ground early, just as the traders are opening up their stalls, and leave when they are closing. This means that there is plenty of time to walk round and look at the cattle, pigs and sheep, talk to the livestock exhibitors about their animals, and watch the showing classes. 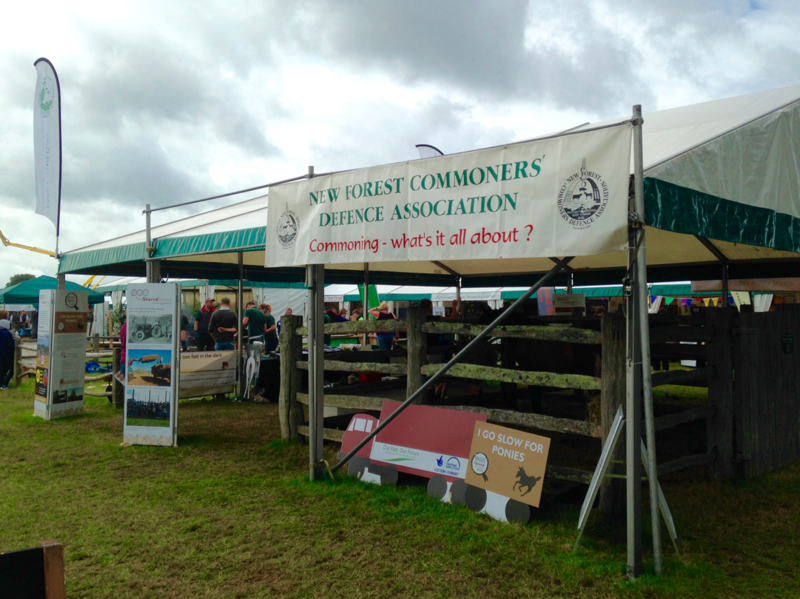 My favourite part of the show ground is the ‘Heart of the Forest’ area, where the Verderers and Commoners Defence Association have a stand. There is always a warm welcome, lively conversation, plenty of laughs and, if you’re lucky, tasty refreshments to be had. It’s a great place to hear some of the old stories, learn about many of the Forest issues, and put faces to names. All the New Forest related activities, such as the New Forest pony showing classes, are scheduled for the Wednesday, which harks back to the time when the show was a one-day event. Wednesday was early closing day in the district and by holding the show on this day organisers could expect a greater local attendance. In times past the show was held at Bartley Cross and entrance to the first show was charged at two shillings and four pence. The show was an immediate success, which eventually required it to move to the present, more accommodating location. Even from its earliest days, the show has been a popular local event and now attracts crowds from across the region. I got into conversation with one of the show organisers, an impressive-looking gentleman wearing a smart suit, Show Society tie, and bowler hat, who confessed to me that as a boy he used to cycle to the ground and enter on a ‘hedge ticket’, which involved gaining access via a suitable and unobserved hole in the fence. He wasn’t the only one. Many of the more senior patrons of the show – all now fine upstanding members of the community, I hasten to add – had similar stories to tell of how they had dodged paying for a ticket by one means or another, when they were children. I think it must have been a right of passage for a former generation – if you’ll excuse the pun. Security arrangements have improved vastly since then of course, but more than that; the New Forest Agricultural Show Society has been a registered charity since 1992, which means that by buying a ticket you are also supporting a very worthy cause. Dates for your diary: next year’s New Forest & Hampshire County Show will be held from Tuesday 24th July to Thursday 26th July 2018. The New Forest & Hampshire County Show is now a popular regional event. This entry was posted in New Forest and tagged Bartley Cross, bowler hat, cattle, charity, Commoners Defence, Hampshire, hedge ticket, July, New forest, NFS, pony, sheep. pigs, show, Society, ticket, Verderers. Bookmark the permalink.